One of the most important things you can do for your carpet is to vacuum it at least once a week for low traffic area and at least twice a week in rooms with a lot of foot traffic. By regularly vacuuming, you are preventing dirt and other debris from getting embedded deep in your carpet fiber. Quickly treating any spills or stains can help keep stains from setting in. Treat spills by blotting up any excess liquid, then use a carpet cleaning product. There are many carpet cleaning products on the market, but many will merely mask the look of the stain, and it will eventually reappear. Take a look at the CRI Certified Seal of Approval for a list of carpet cleaning products that will get your carpet clean. Follow the instructions carefully. Be sure not to scrub the spot! Instead gently blot to prevent any of the spill from getting forced deeper into the carpet. Using doormats is one of the best ways to prevent excess dirt from being dragged into your house and carpet. By using doormats inside and outside all of your entrances, you can avoid much of the dirt from ending up in your carpet. Professional carpet cleaning is one of the most important things you can do to keep your carpets looking new. How often depends on how much foot traffic is on the carpet, but the recommendation is at minimum 24 months. Find a professional service that is certified by IICRC to maintain your warranty. Every carpet is different, and manufacturer recommendations are a little bit different, so when in doubt it is best to follow your manufacturer recommendations. Many have their maintenance recommendations on their website. Following these guidelines will help to keep your carpet looking beautiful and not void your warranty. 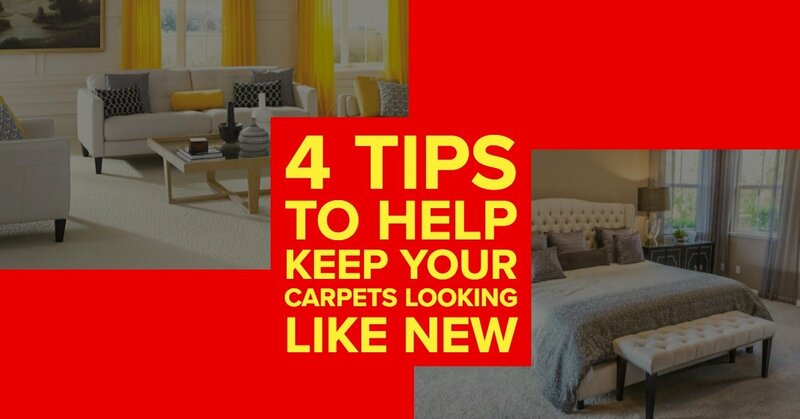 Following these simple tips will help to keep your carpet beautiful and last for years to come.